Mia Tui is a small company set up in 2010 by Charlotte, a busy mother who was frustrated when she couldn't find an ideal bag to suit her lifestyle. She wanted something with a bright interior and lots of pockets so she could find things easily, while still looking stylish. As a result, Charlotte set up the Mia Tui brand and started designing her ideal bags. Charlotte was living in Vietnam at the time, and now she is back in the UK, her friend runs the Vietnamese factory where each bag is handmade by skilled craftspeople using quality materials. (All seams and furnishings are beautifully finished and the fabrics used are lightweight, durable and practical.) 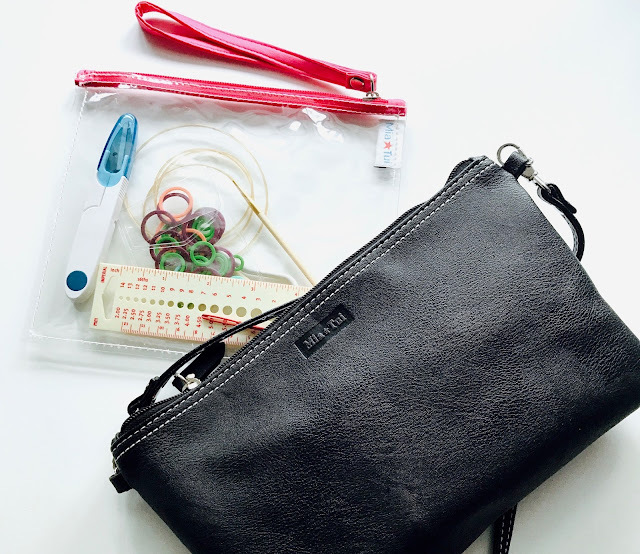 Charlotte aims to stand apart from the bigger brands she is competing with by providing exceptional service as well as great products, and after placing three orders myself already, I'd say she is succeeding by building a loyal customer base who love the bags as much as she does. Multiple awards seem to confirm this. 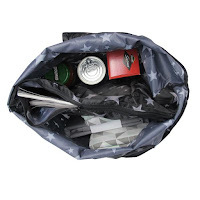 The Mia Tui designs - in varying shapes and sizes - share common features such as a bright waterproof lining, various pockets and a removable clutch bag and accessories pouch (in the larger bags). 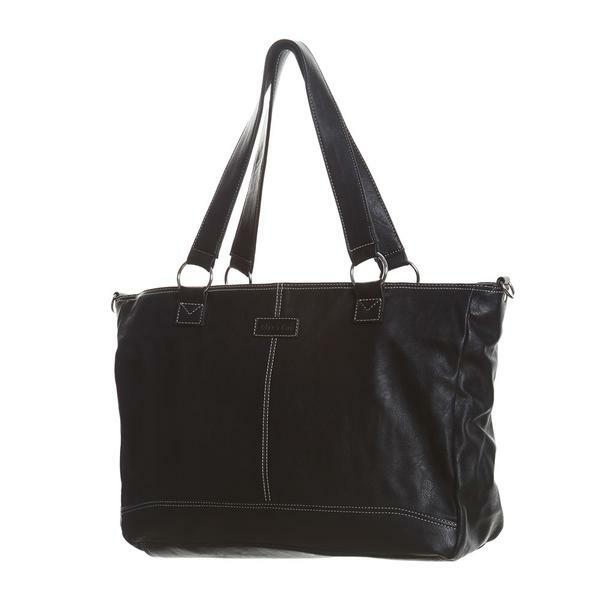 I chose Emma, a large tote which can also be worn across the body, thanks to an adjustable and comfortably-wide detachable strap. The Emma bag could have been designed for me. I either travel very light (when it's just me and I'm popping out on the school run, or to the shop) or I carry everything but the kitchen sink (when I have the kids with me on a day out, if I'm travelling long-distance, or if there is the slightest chance I will have time to knit, in which case there's at least one project in there). The Emma bag does it all. 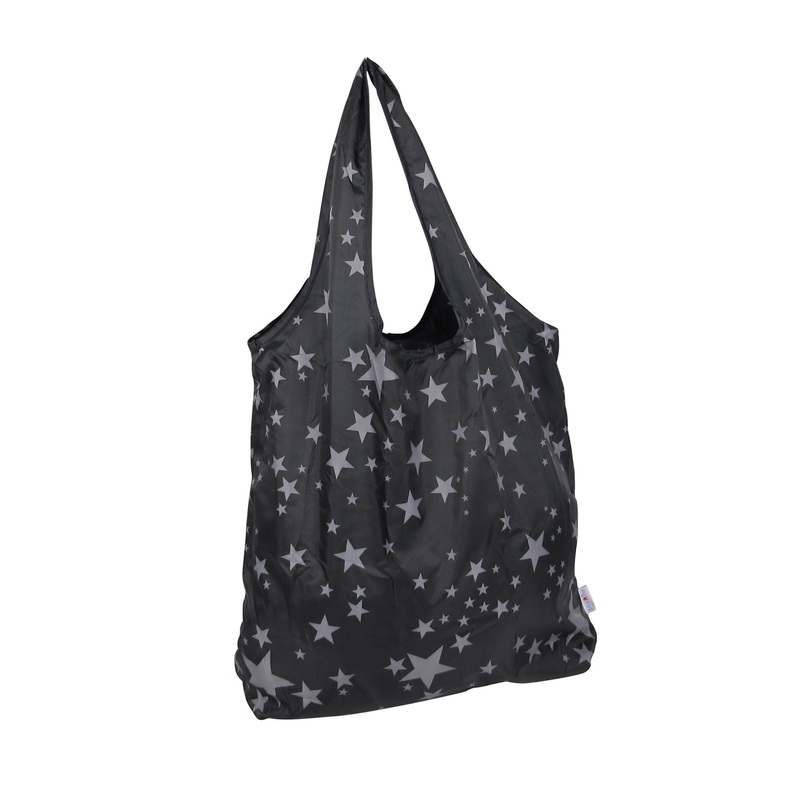 It's a huge tote with plenty of sizable internal pockets (and one on the outside), plus a matching clutch bag (also with two strap options) and a clear zippered pouch. With all of life's essentials safely compartmentalised, there is still a very large main space for your projects and crafting paraphernalia. Since getting my bag several weeks ago, I've used it constantly. I particularly love that my money, phone and keys can be in the clutch (across my body or in the main bag) and that I don't have to carry everything unless I need to. So the tote - aka kitchen sink - can stay in the boot of my car, in the hotel or at home and I still have the essentials with me. The clear pouch is handy for carrying liquids through customs or to the gym - and also makes a great notions case. On our recent half term mini-break, I carried my huge shawl project as well as everything else, with room to spare. In fact, my only caveat about this bag is that it would be easy to carry too much in it! The bag itself isn't very heavy, but if you fill it to the brim it could be. Emma is one of the most expensive bags in the Mia Tui range and retails at £55, arriving in a bright pink (re-useable) tote bag. Using the 20% discount code below you will pay just £44. That's a whole lot of bag(s) for your money. With several vegans in our family, I know how hard it can be to find nice gifts that are suitable. (It's also why I like to source nice cotton and acrylic yarns!) I wanted to point out that Mia Tui bags do not use any animal based products are completely vegan-friendly as well as being attractive and functional. I'm not a vegan and before the bag arrived, I admit to being a bit worried that it might look like 'cheap plastic' when used with my black leather jacket, but my worries were unfounded - the PU is lovely as well as being much lighter to carry than most of my leather bags. I've had lots of compliments on it. I mentioned bags for different budgets and there are plenty of other designs to choose from, including the Mia Tui Eco Shopper bag (in various patterned fabrics) which folds up small enough to fit in the clutch with your essentials, is very sturdy, and has three sections formed with a zippered central section. It's great for general trips when you might want carry a mix of fresh produce and other things you need to keep dry. At only £5 each (£4, if using the discount) these make a great stocking filler. 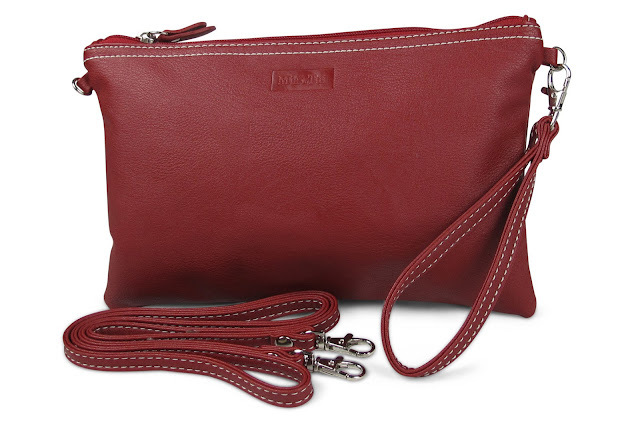 After using the black clutch so much (and because I like 'matchy matchy' things and have red boots), I also ordered a Lily Clutch in Berry. Lily also comes with a wrist strap and long detachable strap and has a built-in key clip. There is a 'phone' pocket inside - much too small for my iPhone 7 Plus but perfect for business cards and lipstick. Under £10 each (and 20% cheaper still, with the exclusive discount below) these would also be a great gift. So those are the three bags I've tried and tested and can personally recommend. There are lots more to choose from, with a wide range of prices - you should find plenty of gift inspiration on the Mia Tui website. If you place an order using the code CWTCH20 you will get 20% off the retail price of any bags. As if that wasn't enough, Charlotte has offered one lucky reader an Emma bag! She will ship anywhere in the world so this giveaway is open to all readers. To be in with a chance to win, simply take a look at the full range of colours and leave a comment on this blog post with your favourite colour AND your Ravelry name, Instagram name, or an alternative way to contact you if you are the winner. (While you're visiting the website, remember to use CWTCH20 for your gift purchases.) The winner will be randomly selected next Wednesday 30th November 2016. Good luck! Reminder: there is still time to enter last week's giveaway as the draw will be made on Sunday 27/11/16. Find the details here. I love the aubergine one. Soozyj on Rav and IG. Thank you - the Teal makes my heart sing! I'm CraftyLittleRat on Ravelry too! Oh My! I looked at the bags, looked at my Christmas Budget, threw a tantrum, and my current handbag on the floor! TheCalmNook on Rav and @thecalmnookcrafts on insta. Oh I forgot to mention Black! Head and heart are having an argument - will go with my head (for a change) and opt for Tan. Loop60 on Ravelry. My heart says berry but my brain says black as a favourite colour for an Emma bag. DaisyL on Ravelry. Thanks! Loving the bright interior.... sensible on the outside with go-with-all grey, while fun on the inside.. sounds a bit like me! Hlp5040 on Ravelry (which autocorrect wants to change to revelry. - time to party? Hi I love the berry colour. My Ravelry name is audabod & Instagram is @audabod. Gah, more gorgeous bags!! You evil temptress!! I love the teal colour. It can brighten the darkest of days. Teal would be the colour. This bag is the answer to my lost keys and mobile. I would love it in purple. I am LovingJG on rav. So hard to make a choice on a favourite! I like most of them- teal, bluebell, blush and black would all be great in different situations. I'm otagogirl on Rav. what a hard choice they all look beautiful. i think it would have to be between the aubergine and the berry as i love my bag to stand out a little. i am sisfay on rav. It's got to be black for my... my go to colour. Millieapple on IG. The draw is now closed and the winner has been selected! Thanks for entering!